The third edition of the art event Monumenta opened at Paris' Grand Palais today . 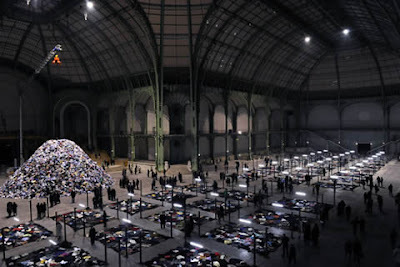 Every year, the event invites a contemporary artist to fill the vast space inside the steel and glass structure of the Grand Palais and for 2010 Christian Boltanski, one France's most important contemporary artists, has been chosen for the challenge. 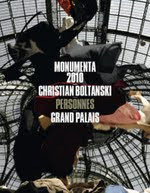 Boltanski has created an installation which he has called "Personnes" especially for the event, which combines the visual with sound to question life, death and the human body.